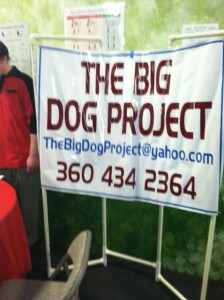 The Big Dog Project is in dire need of medical assistance for a very special dog! I received this letter for help from Josh Rugal lastnight. Please read below. If a vet would come forward and donate the medical help it would be great too! Please read below and share with your friends and family! My name is Josh Rogal and I am writing to you in the hopes you may find this story of interest and want to cover it. I’m a volunteer with a very small nonprofit dog rescue group, The Big Dog Project. We are a registered 501 C 3 and 100% volunteer staffed, as such 100% of any funds we are able to raise go to the necessary vet care, transportation, food and other supplies needed to provide the best of care to our dogs. 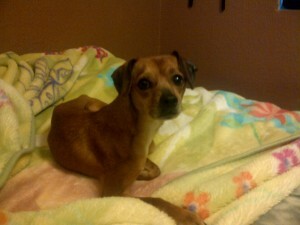 Currently I have a foster dog in my care that is Chihuahua/min pin mix and approximately three years of age. This poor guy came to us from a hoarder and has been extremely underweight. Upon inspection, a horrible discovery was made, that his teeth were in abhorrent shape. Arrangements were made to get him into the vet. The vet stated, after his examination of Ren, that yes his teeth were in very bad shape and were in desperate need of cleaning and many of his teeth would need to be removed. He was placed on antibiotics and an anti-inflammatory for pain relief. I was very excited for Ren that evening, to see him literally inhaling the meal I had prepared for him. This has continued for the past week or so, however Ren only has enough medication for about one more week. One of our other volunteers and I have been working non-stop to try and locate a vet that would be able to perform the procedure on Ren’s teeth. Our only hurdle has been finding a way to pay for the work. As of this point, Ren will be left out in the cold per se, left with very painful teeth and desperate for the ability to consume food without pain. Since we are a 501 C3 and we only have a small handful of volunteers, fundraising is something we are actively attempting to do. The past months however have not proven to be very successful. Our current financial state is very bleak and we are not in the situation to be able to help Ren with his dental needs. I am hoping that you will find it in your heart to maybe do a story on this little, helpless guy. My hope is that maybe members of our community will see him and be willing to make a tax deductible donation to help him. I have attached a picture of Ren for you to include in your consideration of this story. Our volunteers are just heartbroken and filled with a feeling of helplessness for Ren. We have been trying very hard to find ways to make the poor and traumatic life that Ren has come to know, a thing of the past and in the end, have him adopted into a loving family.Thank you for your time and consideration. If you would like more information feel free to contact me at any time. Keep your canceled check, as that is your receipt for the tax deduction.